At the age of early 30s, I am very particular about my skincare routine especially when it comes to serum. For me, serum are supposed to help your moisturizers work better and give a satisfied results. 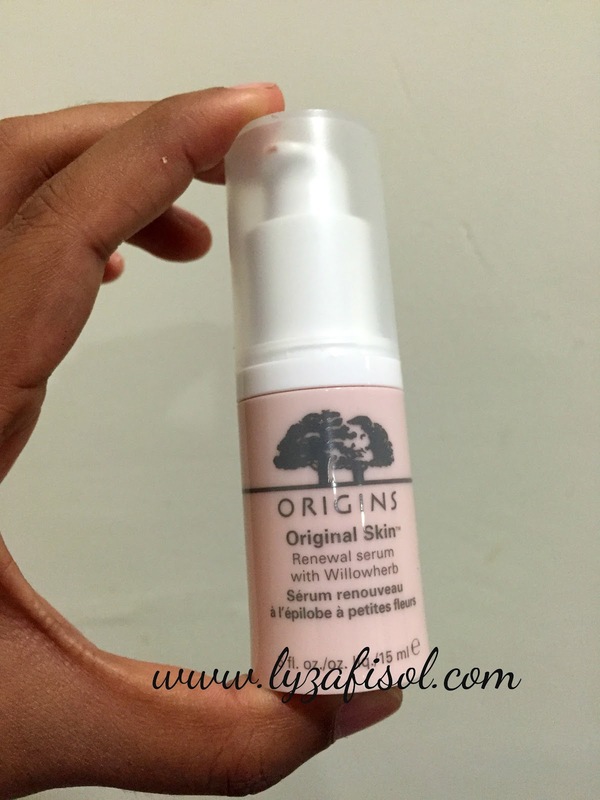 So I give myself a chance to try this Origins Original Skin Renewal Serum with Willowherb. 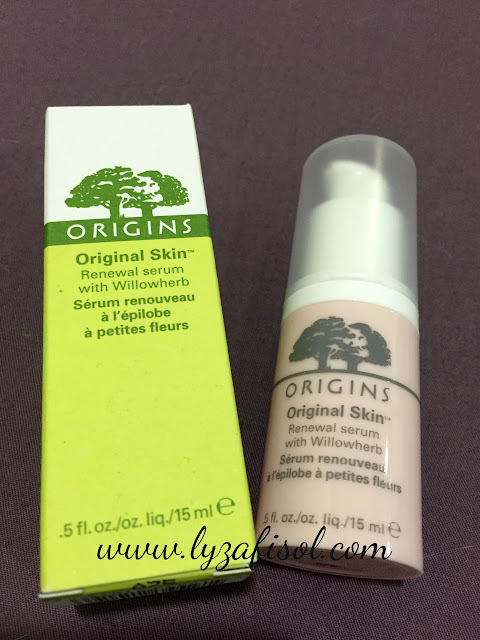 Well, this is my first time trying products from this brand as this serum really attracts me to buy and try it. 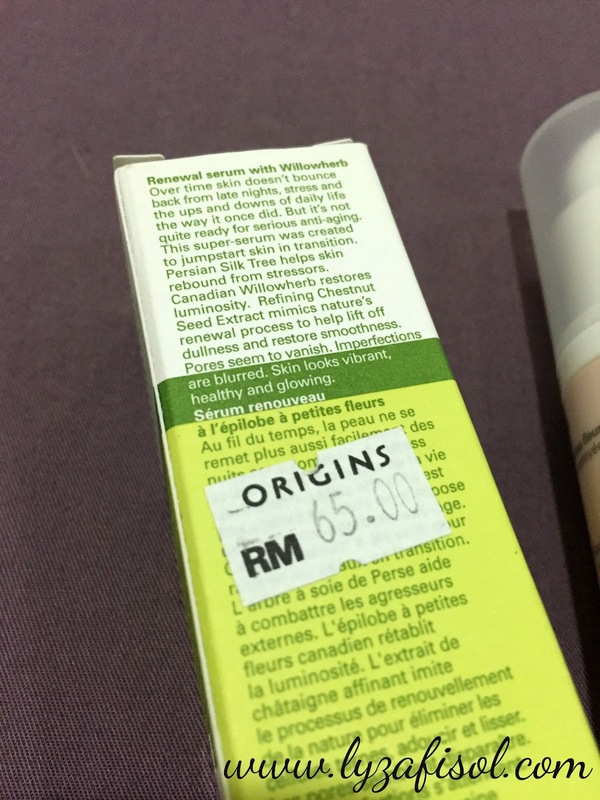 Claim as best for renewal and radiance, hmm, let see what's my verdict. As my skin having a quarter life crisis, due to stressness, not enough sleep, tired and list go on, I do admit that I do look older than my real age. not sound really good right. sigh! 1: De-stress. Persian Silk Tree helps skin rebound. 2: Smooth roughness. Chestnut Seed Extract refines texture. 3: Delete dullness. Willowherb restores glow. 4: Shrink pores. Algae helps reduce oil to help them appear to vanish. 5: Minimize flaws. Blurs imperfections. 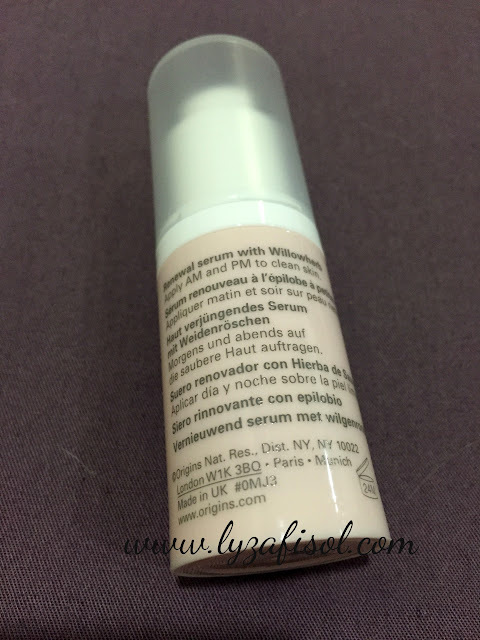 The texture of the serum very lightweight and absorb well to the skin. I love the orangey scent, feel like wanna eat it every time I applied to my skin. hehe. Even though I've been using it in the morning, I can still feel the different on my skin. Skin look more glowing, the pores shrink a bit and best things, it makes my makeup looks better. I don't need a thick makeup to cover up flaws, a thin layer of BB/CC cream or foundation is more than enough. 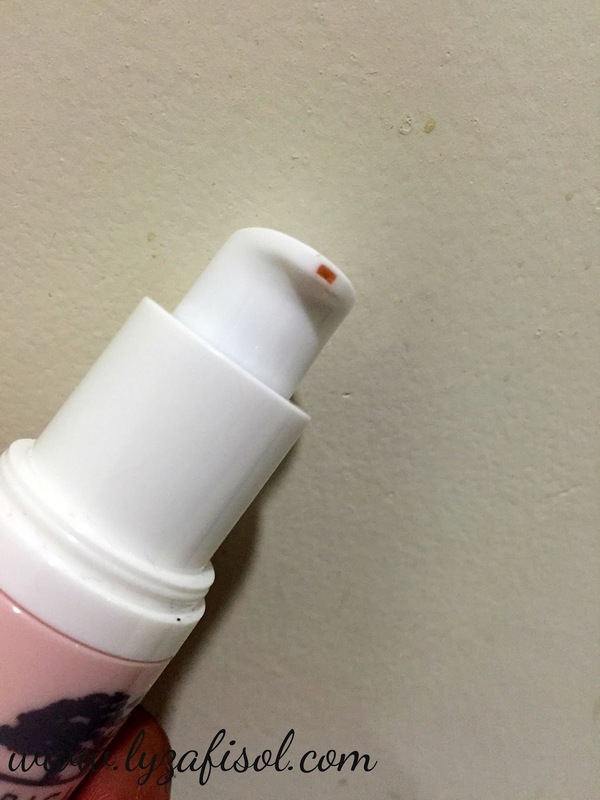 It does give you the brighter look and makeup seems to glide on better. The only thing that I don't like about the serums, one pump is not enough to cover up whole face. a few pumps will do. so cepat la habis nanti. sobs! It worth trying if you are looking for glowing, radiance and smoother skin. Definitely will repurchase this as I really love this serum so much. Easy to travel with as the packaging is pretty small. You may have a look and test it at any Origins outlet and the Beauty Assistant definitely will entertain you. For me, you gonna love this! I bet you. The price RM180 in 30ml size if I'm not mistaken. But you can check it at their stores. 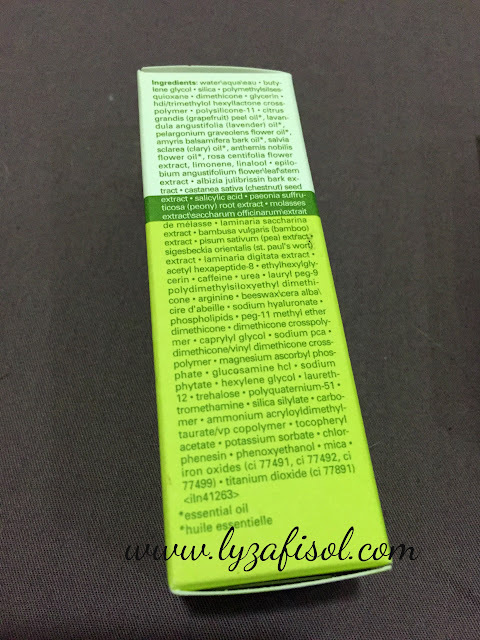 When I bought this serum, they are having promotion for first time customer, 15ml for only RM65. Its very cheap and worth buying, but I can't promise the promotion is still on. 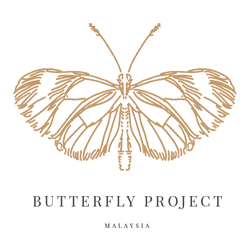 Do drop to their stores for more details.